Saw this on the wall of Campos Tacos this morning at Pacific and Windward. 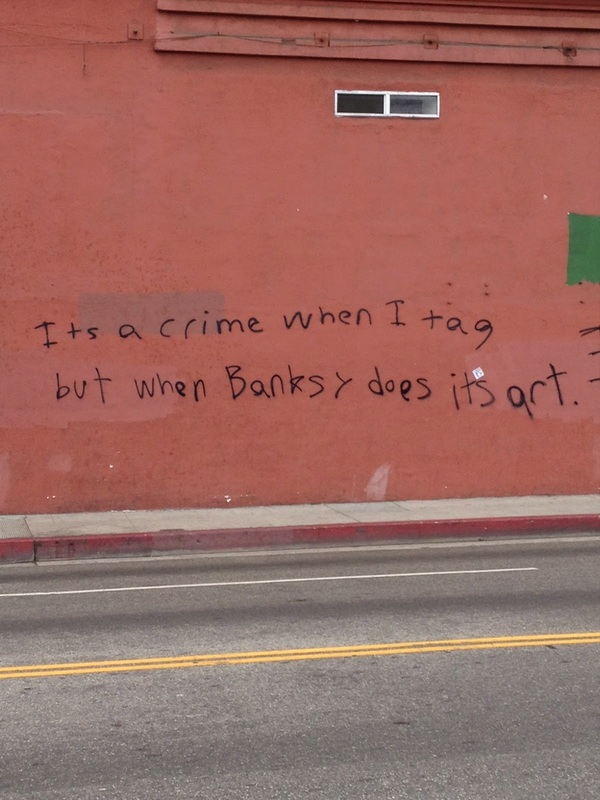 It's not cool to deface someone else's property, but they do make a good point. Ponder.